Now Selling, Myers Park, in Award Winning Spartanburg County School District 5! This Incredible Swim Community is tucked away but yet so convenient to Greenville and Spartanburg. Myers Park is just minutes to BMW, I-85, Hwy 101, Hwy 290 and Tyger River Park. What more could you ask for? Easy access to Premier Dining, Shopping and Entertainment! Love where you Live! Be the First to call Myers Park Home! 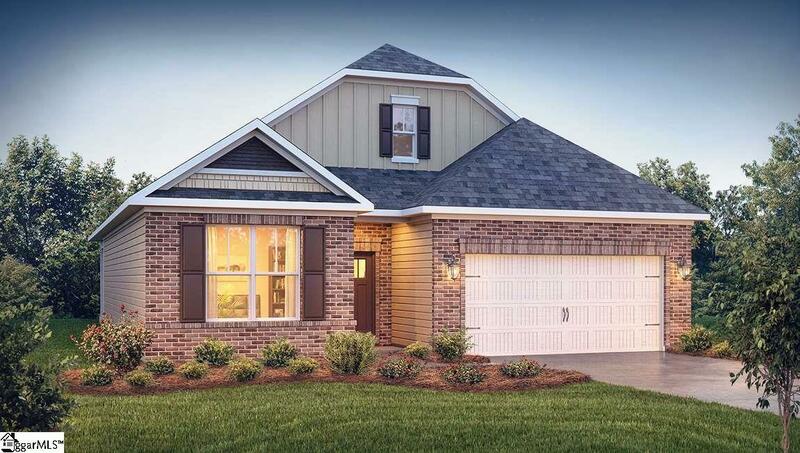 Our new Floor Plan, the Arlington offers easy living with this 1 1/2 story ranch floor plan. This home features 2 bedrooms, Flex rooom,2 full bath on the 1st level and an open Floor plan!! The Family Room is spacious with easy access to the covered porch, the beautiful kitchen and owners suite. The chef's Kitchen features an expansive Island, granite countertops and Stainless Steel appliances which includes dishwasher, microwave and Gas Range. . The Owners Suite is located at the rear of the home for privacy. The additional bedrooms are located in the front of the home and share the hallway bathroom. A 3th Bedroom, a 3rd Full Bath and Bonus Room are located upstairs.